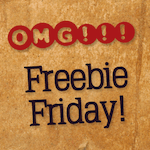 Freebie Friday “Thanks a Lot” Edition: Win a Free Redbox Gift Card! Crazy as it may seem, Thanksgiving is less than a week away! One of the many things we’re grateful for this year is the gift of entertainment, which allows us to escape into the wonderful worlds of our favorite movies. Let’s talk about the movies you’re most grateful for! What movie(s) are you grateful to have in your life? I’m grateful for the movie “Jeremiah Johnson,” because it’s one of my favorites! It’s one’s I grew up with. My Fav’s! Dumb and dumber. Love that movie! I crack up every time I watch it.